What do you think of when you think of problems with your HVAC systems? 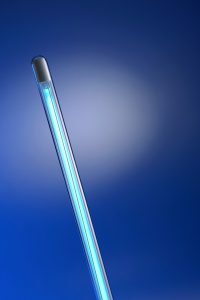 A heater that is blowing cool air into your living space when the weather outside is at the lowest temps of the year? An air conditioner that keeps shutting down before it has even begun to effectively cool your home? There is no doubt that such problems are serious. There are other serious problems, however, that are not so immediately obvious. This is the case with leaky ducts. Now, leaky air ducts are going to exhibit a number of different symptoms. It is up to the homeowner, though, to not only recognize these symptoms, but to understand that they are the result of a problem that can be resolved. Do not settle for a subpar heating or cooling experience, just because you think it is the way your system operates. 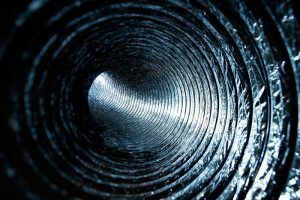 Read on to learn more about how leaky ductwork can affect you, your HVAC systems, and your comfort, and contact us with any concerns that you have. 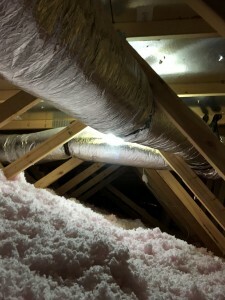 Posted in Indoor Air Quality | Comments Off on Why Are Leaky Ducts Such a Problem? With the summer season comes not only heat, but also humidity. So too comes and increase in airborne pollutants and allergens, both from the blooming plants and trees as well as increased activity in and out of your home. If you are convinced that your air conditioner is in outstanding working condition, it is important to remember still that your comfort is not guaranteed. You need to keep the air quality in your home high, as well as temperatures comfortable, if you want to live in the level of comfort that we know you deserve. Our technicians can help you to achieve this goal. There are a lot of indoor air quality systems available for installation in your home. So many, in fact, that you may be a bit overwhelmed in determining which is the right option for your needs. That is why you should work with the Columbia, SC indoor air quality experts on our staff. In doing so, you ensure that you’ll have what you need to breathe clean, pure air in your home. Heating and cooling your home comes at a price. Now, our summer season is obviously a bit more intense than the winter weather is around these parts. No matter how much you are running any given HVAC system, you don’t want to be paying more than you should have to in order to heat or cool your home effectively. That is why you are diligent in scheduling routine heating and air conditioning maintenance, right? Well, it is important to note that all issues with inefficiency and discomfort are the direct result of problems with your HVAC systems themselves. They could be working just fine, but are fighting an uphill battle due to subpar insulation. If you have any reason to suspect problems with your insulation in Newberry, SC, dial our number right away. If you use fossil fuels for any purpose in your home, be it to keep your residence warm during the cooler time of the year or to fuel for oven, water heater, or other appliances, you need to be aware of the risk that carbon monoxide poses to you. If you ever hear your carbon monoxide detector going off, you need to vacate your home and alert the appropriate authorities immediately. Don’t bet on it being a false alarm. Carbon monoxide exposure is serious business and, as you’ll learn in the following post, you simply cannot hope to detect its presence on your own. Is Your Air Conditioner Drying Out the Air in Your Home too Much? Conventional wisdom tells us that summers tend to be quite humid. That may be true outdoors, and it may also be true that it is, to some degree, the humidity and not the heat itself that is most responsible for your discomfort. The fact remains, though, that the environment within your home may be much different than that outdoors, especially if you are running your whole-house air conditioning system around the clock in order to keep your home cool and comfortable. This can negatively affect your indoor air quality. More specifically, running your air conditioner that consistently can actually wind up drying out the air in your home too much. 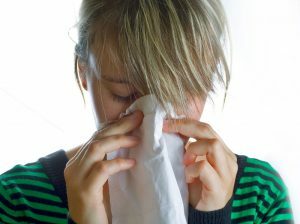 Posted in Indoor Air Quality | Comments Off on Is Your Air Conditioner Drying Out the Air in Your Home too Much? Why Use an ERV or HRV in My Home? Most homeowners will want to keep things relatively simple when it comes to their home comfort systems. That being said, though, using your air conditioner alone may not be enough to allow you to live in the outstanding and affordable comfort that we know you deserve. Integrating a heat or energy recovery ventilator into your HVAC system can help you to strike the right balance between efficiency, indoor air quality, and successful temperature maintenance. If you think that doing so is beyond your means, we’re here to help you see the error of your ways. Just remember to let our skilled professionals install and service your HRV or ERV in Chapin, SC. Posted in Indoor Air Quality | Comments Off on Why Use an ERV or HRV in My Home?